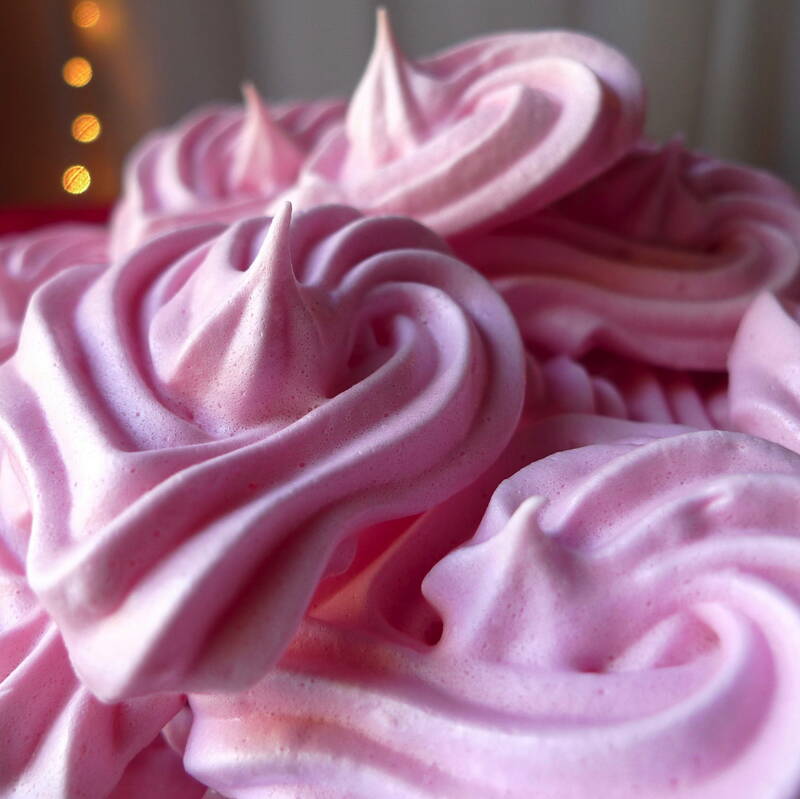 These crisp meringue cookies are tinted a lovely shade of pink with the simple addition of a little beet juice. For those of you without a juicer (like me! ), I processed a couple of roasted red beets in a food processor. Then I put the beets into a few layers of cheesecloth and squeezed out as much juice as I could. Voila…nature’s red food coloring! Add the egg whites and cream of tartar to the bowl of the stand mixer, and whisk until they begin to look frothy. Very slowly sprinkle in the sugar while continuing to whisk. 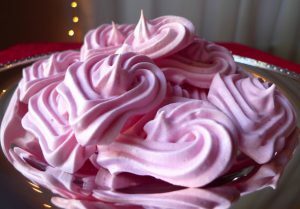 The mixture will become thick and glossy with stiff peaks. Rub a small amount of the mixture between your fingers, and if it is smooth with no sugar granules remaining, you are there. At this point, add the salt, cornstarch, vanilla, and beet juice, and whisk until just combined. On the prepared baking sheets, pipe the mixture into heart shapes.